Ford makes some of the best vehicles in the world and it is no surprise that they have quality transfer cases. Ford is loyal and selects one or two manufacturers to complete all of their component work. Most used Ford transfer cases are actually created by a company known as Borg Warner. This company is responsible for many of the 4×4 case assemblies that are used in Ford Motor Company trucks and SUVs. 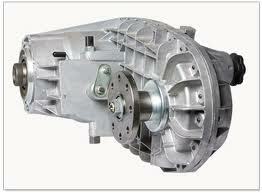 What we choose to offer to each and every customer here is a used or rebuilt transfer case. We know drive train units and parts very well here and always give the best quality. One unique thing about Ford is that they produced more than one pickup truck and sport utility vehicle. Some manufacturers use the same body type, engine and chassis for every vehicle that is manufactured. Ford spreads the design and development around into different areas. This makes it a little easier to get just the right part that you need if one should happen to fail or wear out. A large portion of the units that we sell end up getting shipping straight to dealerships, salvage yards and average customers that depend on quality parts. We are master rebuilders and we know how to select used assemblies. There is absolutely nothing wrong with buying a used automotive part. What makes it wrong is when someone wastes money buying from a company that is unreliable. The hardest thing to accept when browsing the second hand market is that quality varies widely. Something that is used at one company might not be the same condition marked as used at another. A Ford transfer case from our company is one that is repeatedly cleaned and compression tested before it ever leaves our warehouse. These final touches of quality are what keep our reputation selling drive train parts and accessories at the top of the list of sellers online. Each of our staff members is trained and know how to do their job very well. It is not difficult to find Ranger, F150, F250, F350, and SVT Lightning pickup truck transfer cases here. We also have the Expedition, Navigator, Escape and other 4WD Ford vehicle case assemblies. We are a huge dealer and have put the funds required into making our business far superior than most on the Internet. The move from offline selling to online selling was not a hard decision for us to make. We reach more customers around the world. People talk when they find a lower price. We don’t even have to advertise our business. We are easily found in search engines. We’re also very easy to get ahold of if we already sold you a transfer case. The form at the top of this page is what will produce a seriously low price. You can get as many quotes as you want and get them anytime of the day or night from around the world. Just click the submit button and our web form will do all of the work. You can call by telephone at (888)-508-7153 and you’re treated with the same responsiveness and appreciation. Call our company right now.